No More Warning Lights, LIMP Mode, Regeneration Or DPF Problems EVER AGAIN! 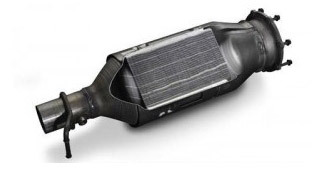 Are you having trouble with your Diesel Particulate Filter (DPF Filter)? We offer a full and effective DPF deletion service where we work with some of the worlds leading ECU programmers to produce software to stop the ECU looking for your DPF so the DPF can be disabled successfully without logging any error codes or warning lights. In addition to collecting the particulate, a method must exist to clean the filter. Some filters are single-use (disposable), while others are designed to burn off the accumulated particulate, either through the use of a catalyst (passive), or through an active technology, such as a fuel burner which heats the filter to soot combustion temperatures, through engine modifications (the engine is set to run a certain specific way when the filter load reaches a pre-determined level, either to heat the exhaust gases, or to produce high amounts of NO2, which will oxidize the particulates at relatively low temperatures), or through other methods. This is known as "filter regeneration". Sulfur in the fuel interferes with many "regeneration" strategies, so almost all jurisdictions that are interested in the reduction of particulate emissions, are also passing regulations governing fuel sulfur levels. Filters require more maintenance than catalytic converters. Engine oil ash builds up on the surface of the inlet face of the filter, and will eventually clog the pores. This increases the pressure drop over the filter, which when it reaches 3.6 pounds per square inch (25 kPa) or higher it is capable of causing engine damage. Regular filter maintenance is a necessity. All on-board active systems use extra fuel, whether through burning to heat the DPF, or providing extra power to the DPF's electrical system, although the use of a fuel borne catalyst reduces the energy required very significantly. Typically a computer monitors one or more sensors that measure back pressure and/or temperature, and based on pre-programmed set points the computer makes decisions on when to activate the regeneration cycle. The additional fuel can be supplied by a metering pump. Running the cycle too often while keeping the back pressure in the exhaust system low will use extra fuel. Not running the regeneration cycle soon enough increases the risk of engine damage and/or uncontrolled regeneration (from an excess of accumulated soot) and possible DPF failure. Quality regeneration software is a necessity for longevity of the active DPF system. Diesel particulate matter combusts when temperatures above 600 degrees Celsius are attained. This temperature can be reduced to somewhere in the range of 350 to 450 degrees Celsius by use of a fuel borne catalyst. The actual temperature of soot burn-out will depend on the chemistry employed. The start of combustion causes a further increase in temperature. In some cases, in the absence of a fuel borne catalyst, the combustion of the particulate matter can raise temperatures above the structural integrity threshold of the filter material, which can cause catastrophic failure of the substrate. Various strategies have been developed to limit this possibility. Note that unlike a spark-ignited engine, which typically has less than 0.5% oxygen in the exhaust gas stream before the emission control device(s), many diesel engines run above 15% oxygen pre-filter. While the amount of available oxygen makes fast regeneration of a filter possible, it also contributes to runaway regeneration problems. So if the warnings are ignored the filter can clog up past been able to be regenerated. And they cost £1000+ to replace from the dealers. What we do to help you? It's been brought to our attention that some garages are now offering DPF deletion services using cracked and fake software which delete all OBD trouble codes from ECU and damage you engine! Come to the professionals and have the job done right the first time! We are a registered company and offer you a lifetime guarantee with all our work. It is not illegal to remove the DPF. It is an offence to use a vehicle on the road that no longer complies with the emissions standards it was designed to meet. This however means that changing any part of the exhaust or emissions system with a part other than the vehicle manufacturer's original part may change the emissions meaning it could be an offence. In reality emissions testing is normally limited to the standard MOT test. From February 2014 the inspection of the exhaust system carried out during the MOT will include a visual check for the presence of a DPF, if fitted as standard equipment. London Remaps offers DPF solution service for off-road use or for export purposes outside EU. It is the consumer’s decision if they wish to have the DPF Solution installed. Furthermore, the MOT testing criteria is constantly changing so there is potential in future that you may be required to install a new filter? If this is the case London Remaps can remove the DPF deletion software and restore your ECU to original. - Force Regeneration by our scanner to reduce soot level * * Job can only be done if excessive soot loading of the DPF is below 95% loaded. At this point regeneration is not an option and replacement/removal of the DPF is necessary. Ceramex is an international leader in cleaning Diesel Particulate Filters (DPFs). They have more than 15 years' experience cleaning over 100,000 DPFs during this time. Ceramex have developed a patented cleaning technology known as Xpurge® which provides world-class cleaning performance. In addition, they have a unique DPF inspection system called Veritex® that allows them to examine the condition of the DPF after cleaning to ensure that cleaning has been completed successfully. Please note DPF cleaning service usually takes 2 working days as the filter has to be send out to Ceramex branch. Some PSA engines fitted to Peugeot, Renault, Ford, Volvo and Nissan have an on board Fuel Additive System connected to the DPF to help regeneration. It is important to maintain this system and keep it topped up with the additive if not it will block the DPF. In our experience this is often neglected, even by main dealers due to the cost. If you have the DPF removed we can disable this function as it is no longer required. 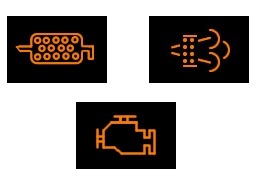 Some vehicles have a dedicated DPF or Anti-Pollution warning light which is great, however many will just have an Engine light on. It is important to check by diagnostics why the light is on and not advisable to simply get the light turned off without investigation. DPF work is complex and should only be carried out by experienced professionals with the correct specialist equipment. It cannot be done properly by a mobile service. All work on a DPF has to be completed with the appropriate recalibration or reset on the vehicle ECU. It is not possible to simply delete the DPF electronically or just remove the DPF unit without work on the ECU. It is our experience that many garages including main dealers are not knowledgeable in DPF and related issues. We often see customers after they have spent a lot of money on the wrong fixes as the DPF fault was not correctly diagnosed. On the other hand it is for this reason that we have a lot of referred DPF work from professional garages in the region. Diesel Particulate Filters were designed with good intent to reduce emissions and offer a better environment. In theory a DPF would trap soot in urban areas and then regenerate on the open road, unfortunately this does not always work well leading to expensive repairs. The fact that DPF units are made with expensive minerals like Palladium, that excess fuel is needed for the regeneration process and that ultimately the accumulated soot and ash has to go somewhere… back into the environment at some point, has some questioning the overall environmental value of the entire system.